Total prize value = $270.79 (family pass + merchandise). The Junior Mascot Experience is a money can’t buy experience. b) The prize is not transferable or exchangeable and cannot be taken as cash. This page contains the terms and conditions of entry (“Terms”) into the register to win “Junior Mascot Experience.” Entry into this promotion is deemed acceptance of these Terms. One (1) prize available in total to be won. The Promoter is Capital Airport Group Pty Limited ABN 52 080 711 191 and its related entities (the Promoter). The Promotion will open 2pm Australian Eastern Daylight Savings Time (“AEDST”) on Friday 29 March 2019 and will continue until 2pm Australian Eastern Daylight Savings Time (“AEDST”) 2pm Friday 5 April 2019 (“Promotion Period”). All entries must be received by the Promoter during the Promotion Period. Promotion entry is open to all residents of Australia aged over 18 years of age, excluding employees of the Promoter/Supplier and other agencies, firms or companies associated with this Promotion, and their immediate families (“Eligible Entrants”). Immediate family means any of the following: spouse, ex-spouse, de-facto spouse, child or step-child (whether natural or by adoption), parent, step-parent, grandparent, step-grandparent, uncle, aunt, niece, nephew, brother, sister, step-brother, step-sister or 1st cousin. 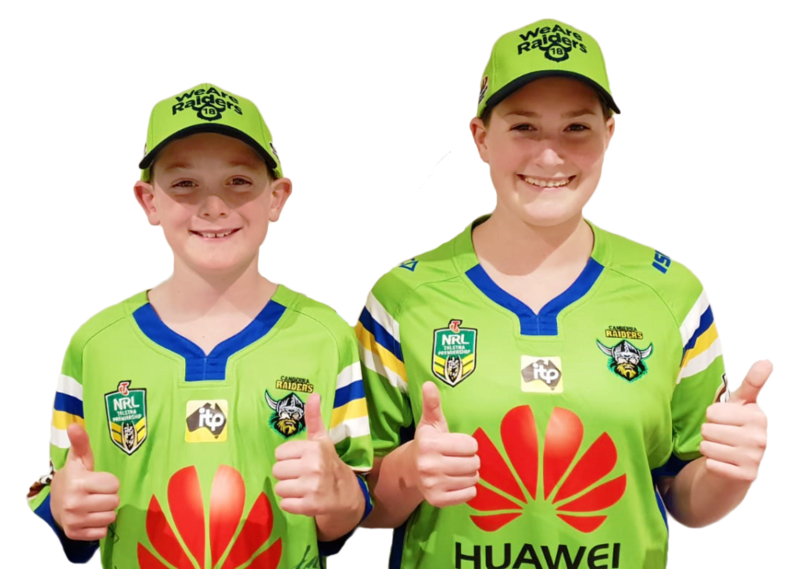 To register for the Promotion, entrants must during the Promotion Period, complete an entry form, agree to register for email updates and put the form in a ‘Win a Junior Mascot Experience’ entry box in the Canberra Airport Precinct. Entrants must be aged 18 years or over, however nominees must be aged between 5 and 12 years. The Promoter, subject to State and Territory legislation, reserves the right not to accept a registration for any entrant (or to disqualify an entrant) if the Promoter considers that the registration contains anything defamatory or is otherwise inappropriate or is not submitted in accordance with these Terms. An entrant may only register as an individual with only one valid entry per person accepted into this promotion. The winner will be randomly selected from the pool of entrants who have supplied their relevant details on an entry form. The single prize draw will take place at the Promoter’s office at Level 4, 21 Terminal Avenue, Plaza Offices – West, Canberra Airport ACT 2609 , at 4.30pm on Friday 5 April 2019 via random selection. The winner of the prize will be notified by phone, within one (1) business day of the draw. The winner will also be notified via email. The winner’s name may also be published electronically on the Promoter’s website and social media channels. In the event that the winner is unable to be contacted, and all reasonable methods of communication are unsuccessful, the unclaimed prize will be re-distributed by an unclaimed prize draw conducted by the Promoter on Monday 8 April 2019 at 9am at the Promoter’s office. The Promoter/Supplier collects personal information in order to conduct the promotion and may, for this purpose, disclose such information to third parties, agents, contractors, service providers. Entry is conditional on providing this information. b) They may be contacted by the Promoter/Supplier to communicate with you by means of direct mail, email, including for direct marketing purposes. On such occasions, you will be provided with an opportunity to opt-out of receiving further marketing information. You may also contact the Promoter/Supplier at any time if you do not wish to receive marketing and/or promotional information. The Promoter/Supplier may, for an indefinite period, unless otherwise advised, use the information gathered for promotional, marketing, publicity, research and profiling purposes, including sending electronic messages or telephoning the entrant. Entrants should direct any request to access, update or correct information to the Promoter/Supplier. All entries become the property of the Promoter/Supplier. For avoidance of doubt, entrants consent to the Promoter/Supplier using their name and image and/or voice in the event they are a winner (including photograph, film and/or recording of the same) in any media for an unlimited period without remuneration for the purpose of promoting this promotion and subsequent similar promotions. The Promoter/Supplier reserves the right, at any time, to verify the validity of entries and entrants (including an entrant’s identity and age) and to disqualify any entrant who submits an entry that is not in accordance with these Terms and Conditions or who tampers with the entry process. Errors and omissions will be accepted at the Promoter’s discretion. Failure by the Promoter to enforce any of its rights at any stage does not constitute a waiver of those rights. If there is a dispute as to the identity of an entrant, the Promoter reserves the right, in its sole discretion, to determine the identity of the entrant. The Promoter’s decision is final and no correspondence will be entered into about this Trade Promotion, excluding Regulatory organisation obligations. Any ancillary costs associated with attending and participating in “The Junior Mascot Experience” is not covered by the Promoter/Supplier. These costs need to be funded by the prize winner. The prize offered is subject to change at any time, however is unlikely to change. The Promoter and the Prize Supplier reserve the right to offer a substitute prize of comparable value if for some reason, the prize stated in these Terms and Conditions is not available. As a condition of accepting a prize, the winner may be required by the Promoter to sign any legal documentation as and in the form required by the Promoter and/or Prize Supplier in their absolute discretion, including but not limited to a legal release and indemnity form. b) to modify, suspend, terminate or cancel the competition, as appropriate. c) any entry that is late, lost, altered, damaged or misdirected (whether or not after their receipt by the Promoter) due to any reason beyond the reasonable control of the Promoter.